The MPA team are professional, knowledgeable and approachable. Whether you want a quick chat or to organise a meeting, we are simply a phone call or click away. All our advisers are qualified to at least diploma level and our administrators each have a qualification in financial planning. Within our team we have a number of areas of expertise, please find out more about our team below. 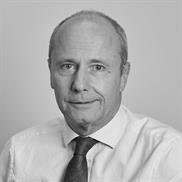 Phil joined MPA in 1996 and was appointed Managing Director in 2010. Since then the Company has grown rapidly from a small firm managing £40M to the firm it is today with excess of £500M funds under management. Phil plays a key managerial role in the company in shaping the future, ensuring standards are maintained as well as advising clients. He has amassed a vast amount of experience in complex pension and investment issues and specialises in pension transfers, income drawdown and investment planning. He is a Fellow of the PFS. He has been married to Emma for over 25 years with 2 children and enjoys cricket, golf and rugby. Eddie joined the company in 2007 after a long and successful career in financial services sales. He was appointed Compliance Director in 2010 and is responsible for MPA adhering to the strict compliance standards we have. He is responsible for maintaining standards in administration and advice through a robust and repeatable process that is implemented throughout the business. 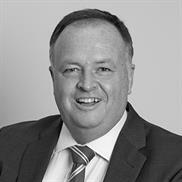 He also advises clients specialising in Court of Protection, Trusts, pensions and Corporate advice. Eddie is married to Mandy and has two grown up daughters. He enjoys all sports and is a fan of Leeds United. 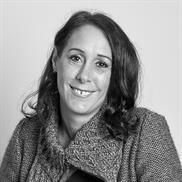 Ann provides a bespoke service to individuals and families, Trustees and Solicitors acting on behalf of clients. She specialises in advising clients who need retirement advice or advice on passing wealth down the generations. 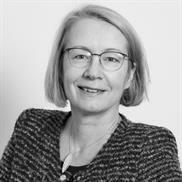 She is accredited by SOLLA (Society of Later Life Advisers), and holds the Diploma in Financial Planning and is a member of the PFS. 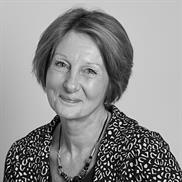 Ann is a specialist in investment,Inheritance tax, care fees planning, trusts and pensions. She also helps divorcees get their lives back on track financially after a divorce. 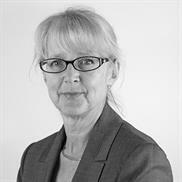 Ann is trusted by a number of solicitors to advise their clients and has passed the STEP Certificate for Financial Planners. Chris is a Chartered Financial Planner and a Fellow of the Personal Financial Society. 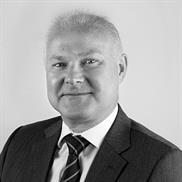 He advises on all aspects of financial planning and has in-depth knowledge of pensions and SIPPs. 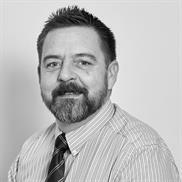 Chris has 12 years experience in Financial Services and is another divorce specialist. In his spare time, Chris tries to train/bribe his Beagle to behave and can usually be found retrieving dog toys around Henley. David joined MPA in 2013 and has extensive experience in developing all-encompassing financial plans for companies and high net worth clients. Pension planning under the new flexible pension rules for directors and individuals (whether you are a private or public sector worker). Companies Directors who are looking to secure the future for themselves, family and their employees. 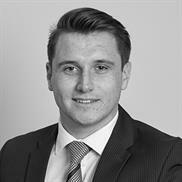 Joe joined in 2017 with a degree in Geography and having spent 2 years in Altrincham with another IFA. He has recently gained his Diploma in Regulated Financial Planning and will be looking to take over Robins’ clients when he retires later in the year. He is interested in sport, playing cricket for Earlswood C.C. as a batsman and he enjoys keeping fit. 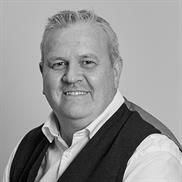 John Joined MPA in April 2018 and has over 30 years’ experience working for advisers and product providers, specialising in pensions and investments for both companies and individuals. He is married with 2 daughters and in the limited spare time that leaves him, he is interested in most sports and still pretends to play football regularly but in reality, spends most of the time admiring the game go on around him. John is taking over clients from Mike. 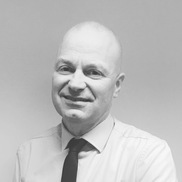 Richard joined MPA in 2014 and has over 20 years experience in the financial services industry. Richard is a wealth specialist with a holistic approach to specialist retirement planning. He is married to Kate and loves to travel, that is when he haves the time! 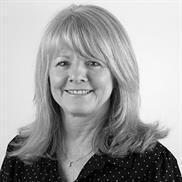 Sue has 30 years’ experience working in the financial services industry and has always taken a holistic approach in her advice to clients which includes retirement planning, investments, protection and inheritance tax mitigation. She has been married to Frankie for 23 years and has 2 boys. Sue is a keen sports woman in her spare time. David has worked in the financial services industry since 1979, for the majority of his career at a major bank, where he was for 11 years responsible for the Training and Competence of a High Net Worth Client Advice Team, in which time David attained the CII Diploma in Financial Planning, DipPFS. 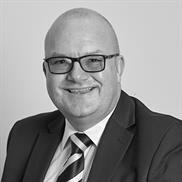 Prior to joining MPA, David was the Compliance Manager for another IFA, with responsibilities for ensuring the Firms compliance with regulatory requirements. David is married with two daughters, enjoys travelling, is a keen follower of the sports teams of both Leicester and Miami and is a Race Official at Leicester Speedway. 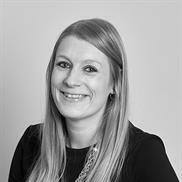 Annemarie joined MPA in 2018 to assist Phil McGovern and has 10 years’ experience working in the financial services industry. She has been engaged to Martin for nearly 13 years and has a son, who keeps her busy when not at work. When she isn’t chasing after her little boy, Annemarie enjoys exploring the UK with her family in their motorhome and renovating the new family home. Beck joined MPA in 2012. She manages our company accounts. She is married to Murray and has 2 sons. 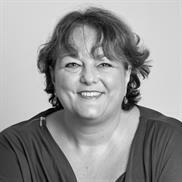 Debbie joined MPA in 2018. 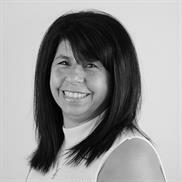 She has many years’ experience in the financial sector and is supporting Richard and John. Debbie watches every cookery programme possible, especially if James Martin is featured and loves to cook for family and friends. She is also a keen gardener. Grace joined MPA in 2016 as our office manager. She is an experienced professional with a background in the financial services sector. She is a mean cook and can sing a good Irish song or two. Jayne joined MPA in 2016. 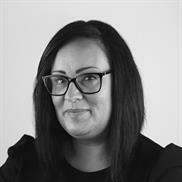 She is experienced in the financial services sector and currently looks after Eddie and helps within the Compliance department. Jayne enjoys socialising and going to the races especially Ascot. Jenny joined MPA in 2016 as a graduate trainee after studying Biomedical Science at Bangor University. 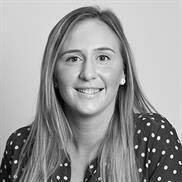 She is currently part of our research team and has recently achieved her Diploma in Regulated Financial Planning. She spends her free time attempting Pilates and horse-riding. Jenny joined MPA in 2014. 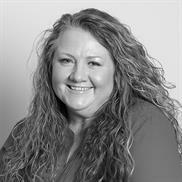 She currently supports Phil and looks after pension transfers for our introducers. 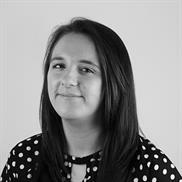 Jenny is currently on the PFS Aspire Apprenticeship Scheme working towards achieving a Diploma in Regulated Financial Planning. Jenny likes to embrace the early mornings with a brisk walk, weather permitting. 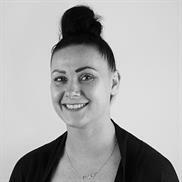 Jess joined MPA in 2018 and will be working towards gaining her Certificate in Financial Planning as well as taking over the running of our social media. Jess supports Chris Lavery and Dave and is part of the research team. Jess loves a bit of retail therapy especially when it comes to buying new shoes. Katerina joined MPA in 2018 after having worked for 5 years in financial services. She currently supports Sue Houldsworth in her role. In her spare time she is a Aerobics Instructor and is a BACPR Specialist Exercise Instructor Level 4 in Cardiac Rehabilitation. 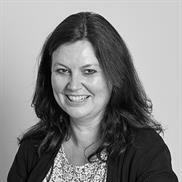 Liz joined MPA in 2010 and has over 25 years’ experience in the industry. She is our Group Schemes administrator and she supports Chris. Liz is a member of a local choir and is an avid reader. Lois joined MPA in 2015, changing roles in 2017 to oversee the administration team. She has a background working in banking and financial services and has a degree in Financial Economics. She recently got married to Tony and enjoys trampolining to keep fit. Peter joined us in 2016 as our Senior Paraplanner. He writes our more complex reports and is involved in training our junior members of staff. He has worked for several pension companies over the last 30 years and has extensive pension knowledge. Sadly, he supports Coventry City in his spare time. 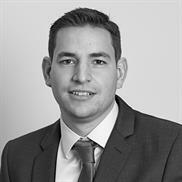 Sam joined MPA in April 2018, and has almost 20 years’ experience in the financial services sector. She provides support to Ann and Dennis. In her spare time Sam enjoys live music, travel and has recently taken up photography. Sue joined MPA in 2015. 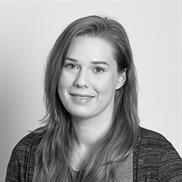 After taking time off on maternity leave following the birth of her baby girl, Olivia, she has returned, part time, as part of our paraplanning team. 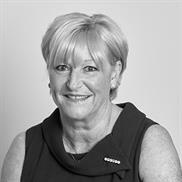 Sue joined MPA in 2013 and has over 20 years experience in the financial services industry. She supports Mike and Robin. Sue has three grandchildren. When Sue is not at work her dog Bobs keeps her busy with lots of walking around Henley.